Co-production gives all of us a stronger voice in our communities and beyond. 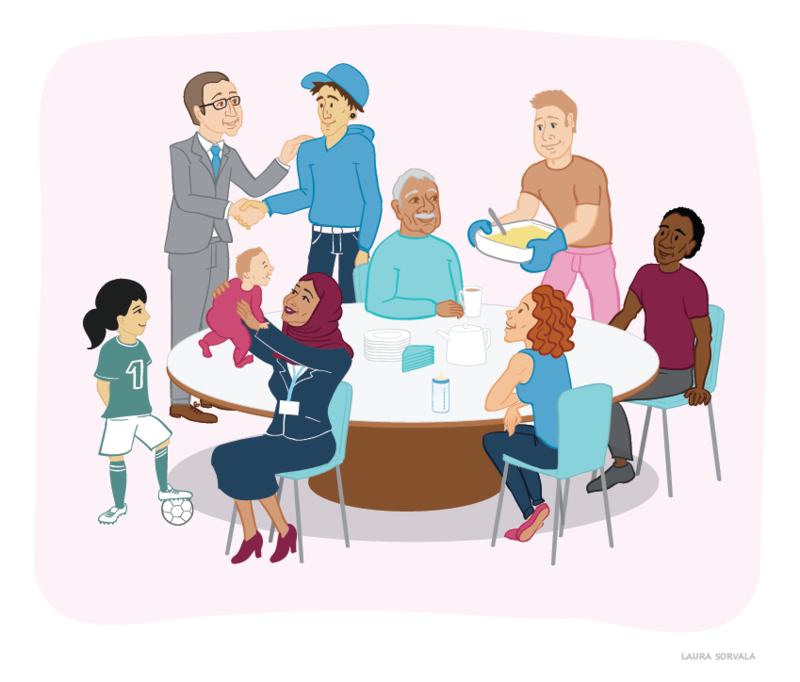 The co-production movement is powered by people, working together in equal and caring relationships to create change. You may know it as values-based approaches, people-centred services, asset-based work, or simply “doing the right thing”. If this way of working sounds good to you, this event is an opportunity to meet Co-production Network for Wales members local to your area, as well as other people interested in the work of co-production – whether you call it by this or any other name, let’s connect with like-minded and like-hearted people, share stories of experience and practice, and help each other solve challenges. This is an informal get together co-hosted by Denbighshire Voluntary Services Council (DVSC). DVSC are co-hosting this event as part of their commitment to working co-productively, and as part of DVSC’s Enterprise development work. Refreshments will be provided, just bring yourself, a curious mind, and a willingness to exchange ideas and stories. The get-together will be loosely structured around 1) showcasing local stories of good practice, 2) people sharing their stories and experiences in conversation and 3) helping each other find solutions to current challenges in our communities and in our services. You can register your place here: http://bit.ly/CoProRuthin2019.